Academic research on residential condo sales has provided statistically significant proof that rent varies between floors in high-rise buildings. However, very little research has targeted the same phenomenon in the commercial real estate market due to lack of transparency in the CRE industry. Using information from the CompStak database, we were able to look at more than nine-hundred Midtwon Manhattan comps from 2010-2013 and apply regression analysis to estimate the rent difference between floors in high-rise office buildings. Considering natural light, floor plans, and more, landlords usually vary pricing on different floors in the same office building. As shown in the accompanying scatter plot chart, it’s evident that there is a positive correlation between rent figures and floor. Although the rent does increase with higher floors in buildings, there are other factors that interfere with this observation. The submarket, type of transaction, year of execution, age of the building and building class are all examples of such variables. By adjusting for the different variables with a regression model it was possible to reach an empirical conclusion. According to the model, the rent difference between floors ranges from 0.5% to 1.5% in the Park Avenue/Grand Central office market in Manhattan. As shown in the example below, for a typical Class B office building located in the Grand Central submarket, the rent on the 30th floor would be almost $10 per square foot higher than on the 10th floor, all else being equal. Why is this model important? While the rent is also influenced by variables such as elevator, floor height and window view, landlords can still use this more objective approach when setting the listing price. Landlords that otherwise may price floors of a building in blocks (e.g. 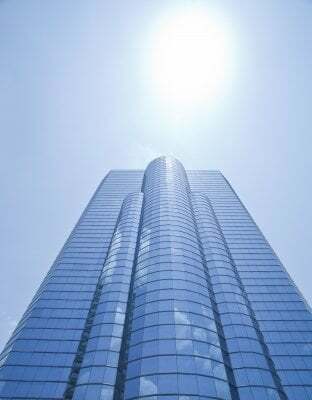 base floors, mid-rise floors, tower floors) may now effectively price each floor individually in order to shorten the lease-up period and improve negotiation efficiency. Additionally, better confidence in the underwriting of rental income may increase the interest of potential investors in the office condo market, an emerging market that saw sales volume in the first half of 2013 surpassing the 2008 peak. Another place where enhanced and transparent CRE scientific analysis has even more substantial impact is the appraisal community. While statistical analysis is already commonly used in residential appraisal models, commercial real estate Automated Valuation Models can be developed by integrating office lease comps, the income based valuation approach, and scientific analysis tools. This objective tool could also improve traditional appraisals by justifying the comparable adjustment rationale, which is traditionally based on the appraiser’s personal experience. An analysis interpreting the rent difference between floors, completed using accurate information and statistical models may contribute significantly by replacing experience based assumptions. As commercial real estate information becomes increasingly transparent, it is only logical to expect that more sophisticated investment decisions, such as office condo conversion, would be inspired by data-driven analysis. Accordingly, scientific data analysis tools are going to be the stepping stone in this new age of commercial real estate. ***based on a report written by CompStak Senior Research Analyst, Wayne Yu (pictured). Wayne processes, validates, and analyzes CompStak’s database. His experiences in analyzing big data and applying GIS data to the real estate industry provide the highest level of data quality for CompStak. A graduate of NYU, Wayne spends his free time on baseball either on the field or ESPN. Commercial Real Estate: Laggard, or Late Bloomer? Yes, there has never been as much discussion about floor and views in office leasing as their really should be. This is very interesting data being provided for us all. Thanks for doing such a great job Wayne!